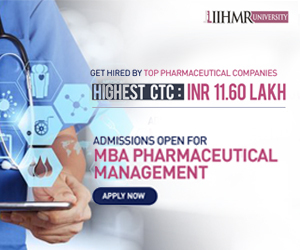 Indian Council of Medical Research is a premier medical research organization under the Department of Health Research (DHR), Ministry of Health and Family Welfare, Government of India, dealing with health research in various areas in collaboration with national international agencies through its 32 Institutes/Centres including a large number of field stations situated all over the country. The posts are with all India transfer liability under the Council. When pregnant mother consumes drugs it reaches the fetus through the placenta, in the same way that oxygen & nutrients are delivered to the baby in the mother’s uterus. Depending upon the drug taken, the amount, duration & stage of pregnancy, it can produce varying effects on growing baby. Drugs can damage the fetus &cause developmental abnormalities (producing birth defects) & result in still birth. The objectives of the study were to assess the knowledge regarding teratogenic effect of drugs among staff nurse working in maternity and pediatric wards. Structured Knowledge Questionnaire on teratogenic effects of drugs was used to evaluate the knowledge of Staff Nurses. The results revealed that out of 30 staff nurses selected for the study, majority 19 (63.3%) possessed average knowledge regarding teratogenic effect of drugs. Applications are invited on plain paper for the following purely temporary contractual posts ICMR Task Force Project entitled “National Hospital Based Rotavirus Surveillance Network” at Regional Medical Research Centre, Belgaum. K.L.E. University’s College of Pharmacy, Belgaum. Ulcerative colitis is a chronically recurrent inflammatory bowel disease of unknown origin in which oxidative stress has been implicated. The main aim of the present study was to evaluate possible protective effect of alcoholic extract of Aloe Vera against the drug induced model of colitis in rats. Induction of colitis by colonic administration of drugs(Acetic acid, Indomethacin and TNBS) cause severe microscopic inflammation of colon after 24 hrs of administration of one of any above inducing agent, as assessed by the macroscopically. Microscopically colonic tissue showed ulceration, oedema and inflammatory cell infiltration. Biochemical estimation studies revealed decrease in serum levels of lactate Dehydrogenase (LDH) may be due to increase in Colonic concentration of tumor necrosis factor α (TNF- α) and neutrophill infiltration index. Oxidative stress was indicated by reduced glutathione concentration (GSH) as well as increase in levels of lipid peroxidase (LPO) and myeloperoxidase (MPO) activity in colonic tissue. Pretreatment with Aloe Vera extract at a dose of (400mg/kg/day, orally),10 days before induction of colitis increase level of serum LDH and GHS, while colonic concentration of LPO and MPO was increased. It also showed decrease in macroscopic score. The findings of the present study provide evidence that Aloe Vera extract may be beneficial in inflammatory bowel disease. Applications are invited upto 28th July 2012 for one post of Scientist ‘C’ (Organic Chemistry / Natural Product Chemistry) in the Pay Band PB-3 Rs.15600-39100 + Grade Pay Rs. 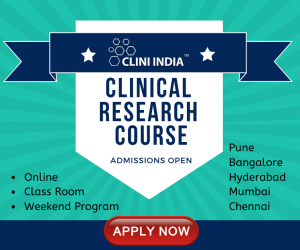 6600/- at the ICMR's Regional Medical Research Centre, Belgaum.